Mature doctor talking on mobile phone. 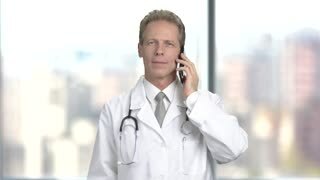 European middle-aged doctor giving information to patient by phone, blurred background. Smiling mature doctor with mobile phone. 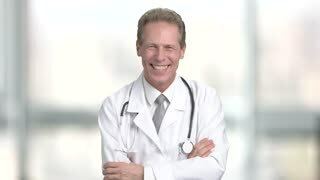 Cheerful middle-aged doctor talking on phone, blurred background. Female doctor with pack of medical pills. Middle aged female doctor in white uniform giving medicine, white isolated background. Mature doctor with gifts with ribbon bows. 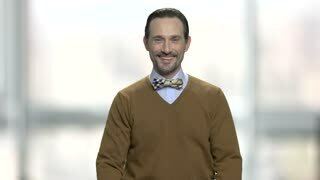 Middle aged caucasian smiling happy doctor giving you presents. Green screen hromakey background for keying. Smiling mature physician giving thumb up. Attractive middle-aged doctor with stethoscope looking at camera. Blurred city background. Handsome mature physician showing ok sign. Smiling middle-aged biologist giving okay gesture and looking at camera. Smiling scientist showing ok sign. Middle aged doctor giving ok gesture with fingers on blurred background.